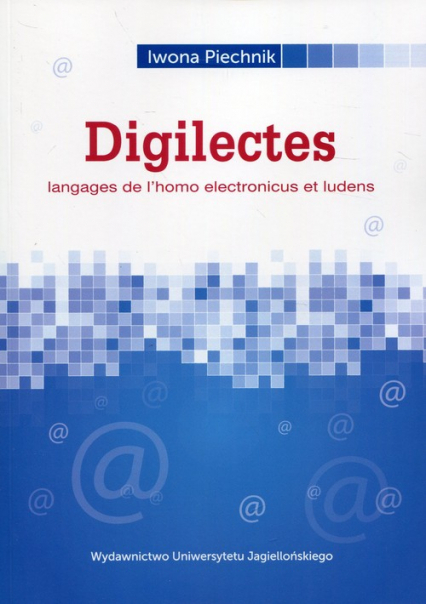 Le livre présente le digilecte (terme inventé par Á. Veszelszki), autrement appelé langage SMS, langage texto, langage chat, cyberlangage, argot Internet, etc. Il analyse diff érents mécanismes de le composer en anglais, français et polonais, ainsi que brievement en d’autres langues (germaniques, romanes, slaves, finno-ougriennes) ainsi qu’en grec et en espéranto. This book deals with the digilect (term coined by Á. Veszelszki), alsoknown as texting, txt language, SMS language, SMS code, SMS lingo,netlingo, lingo online, twingo (Twitter lingo), text message jargon, txtabbreviations, cyberslang, cyberlingo, cyberspeak, cybertalk, netslang,textese, textspeak (or txt-speak and txt-spk), netspeak, fingered speech,Internet acronyms, etc. It analyses various mechanisms of its compositionin English, French, Polish, and briefly in other languages (Germanic,Romance, Slavic, Finno-Ugric) as well as in Greek and Esperanto.